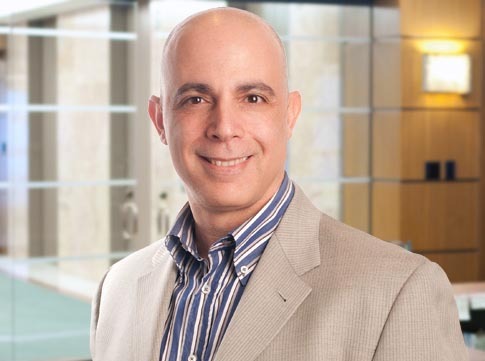 Eran Kahana, a cybersecurity and intellectual property lawyer in Maslon's Business & Securities Group, has authored an article for the Minnesota Journal of Law, Science & Technology. In the article, titled "Rise of the Intelligent Information Brokers: Role of Computational Law Applications in Administering the Dynamic Cybersecurity Threat Surface in IOT," Eran discusses the spectrum of cybersecurity threats to the Internet of Things (IoT) and the existing best practices that "can be used as a roadmap to help secure IoT device design and use." Eran counsels clients on a wide variety of matters related to cybersecurity, privacy, technology law, artificial intelligence, trademarks, patents, and copyright issues. In addition, Eran is a Fellow at Stanford Law School and serves in a variety of cybersecurity thought-leadership roles. He is a graduate of the FBI's Citizen Academy and works closely with the FBI, Department of Justice, Secret Service, and colleagues from the private and academic sectors to promote and sustain cybersecurity best practices. To that end, Eran serves as both a director on the Executive Board and as general counsel of InfraGard (Minnesota Chapter), a public-private sector organization affiliated with the FBI. He also serves on the Advisory Board of MN Cyber, an organization dedicated to position Minnesota as a national leader in cybersecurity. To read the article, go to: "Rise of the Intelligent Information Brokers: Role of Computational Law Applications in Administering the Dynamic Cybersecurity Threat Surface in IOT."